Your restorative treatment begins with specialized impressions that allow Dr. Jansen to produce a replica of your mouth and implants. We will also make “bite” records so that we see the relationship of your upper and lower jaws. With this information, we will make the abutments (support posts) that attach your replacement teeth to your implants. Various types of abutments exist. Frequently, we can use “off the shelf” abutments. Other times, custom abutments must be made of gold or a tooth-colored ceramic material. As you can imagine, these custom-made abutments add to the cost and treatment time involved. Which abutment to use is a decision that often cannot be made until after healing is complete and impressions have been made. As with any complex dental process, you will have a team dedicated to your care and ensuring the best possible results. Your team will include our office and clinical staff, and we may even call in specialists to perform or advise on various stages of the procedure. Dental implants come with significant benefits, but also significant cost. When deciding between different treatments for missing teeth, it is important to keep several factors in mind including longevity (implants last a lifetime, whereas other restorations require replacement every decade) and your quality of life. 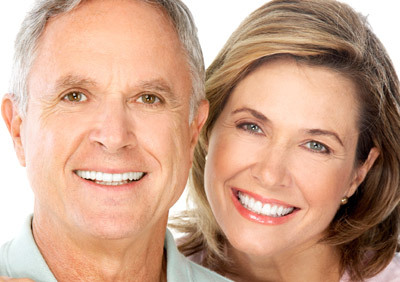 In fact, you may be surprised to find out that, in the long run, dental implants are often the more affordable choice. Please read our Cost of Dental Implants page to find more about the factors that affect the cost of dental implant placement. Give us a call at Curtis E. Jansen, DDS Phone Number 831-656-9394 to see if you are a good candidate for this life-changing procedure.